This deal ends in less than 24 hrs! Spend countless hours following up with leads, scheduling calls, and attempting to close prospects? Lounge on a beach, sip on a pina colada, and have your lead generation put on autopilot? We know what we’d be doing, and that’s why we are huge fans of Autoklose. 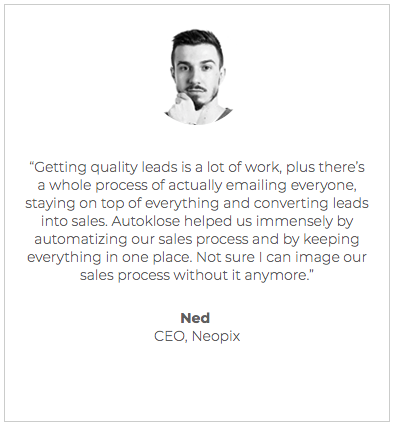 Autoklose is a comprehensive sales platform that automates repetitive sales tasks, optimizes your cold email process, and monitors your entire outreach. In a matter of minutes, you’ll have an automated follow-up and notification solution for the most time-consuming and tedious tasks. The first two things you’ll do are target leads and connect your email. To target leads, use your CRM contacts or upload CSV files. 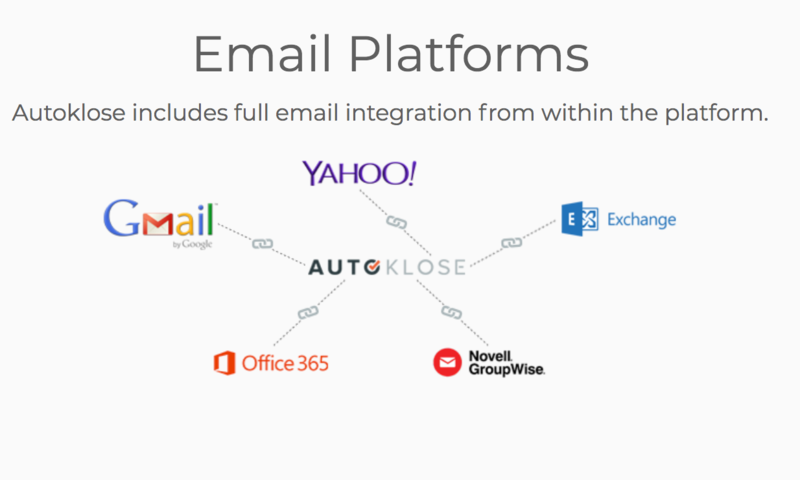 Autoklose lets you integrate your email account (Gmail, Outlook, Yahoo, Office 365) so that emails are sent/received with the destination mailbox. Once your email is connected, you’re ready to begin your campaigns. Autoklose knows you’re on a tight schedule so they provide built-in, tested and high-converting email templates (follow-up, feature launch, webinar, promotion, feedback, etc.). Just pick your favorite and get the campaign rolling! Using machine learning algorithms, Autoklose’s SmartSend is able to schedule all emails and follow-ups at times in which prospects are most likely to open the email. These algorithms also bring you SmartReceive, which can sort replies so that you no longer have to deal with bounces, changed email addresses, and “out of office”s. And for all of those “please leave me alone" replies, Autoklose will automatically unsubscribe prospects as well as add them to your “Do Not Email” list. 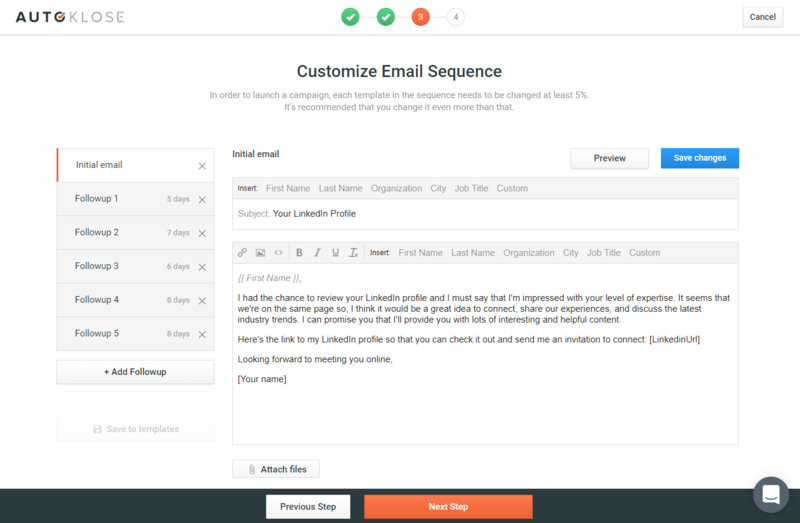 You will only receive actionable emails in your inbox — everything else will get filtered out. 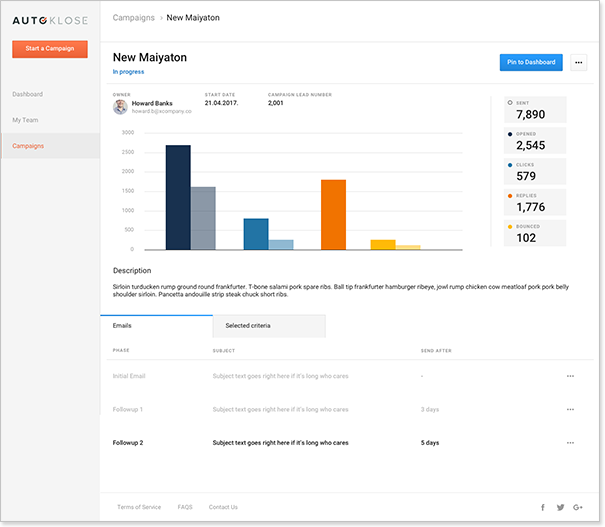 Autoklose also just released a feature that produces advanced reports so team managers get insight into their team's performance as a whole or specific campaign performance. Managers, get ready to make better campaign decisions! Even though Autoklose is magically handling the majority of tasks, you won’t be left in the dark. You can see all the actions and interactions by any contact inside of audit logs. 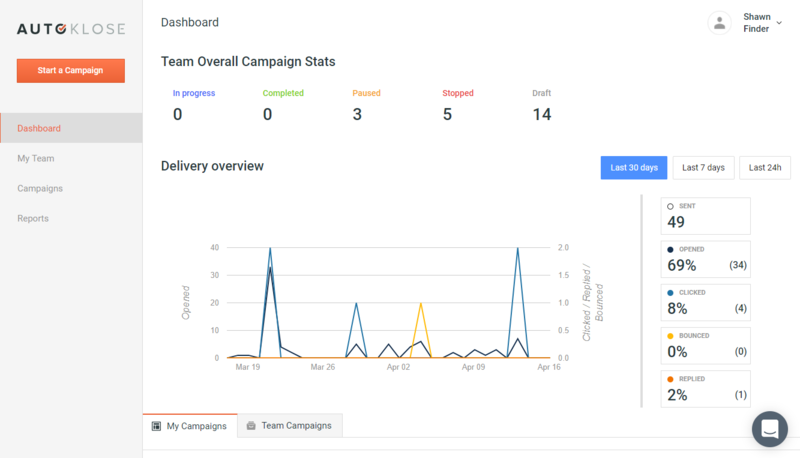 In addition, you’ll be able to pull full reports on campaign and individual statistics. Ordinary salespeople are closing clients quicker, and with less effort, than they ever have before because of Autoklose. So, right now, we are giving you the chance to grab an awesome plan that is normally valued at $360 a year. I bet you’re already smiling because you know this is the part where we tell you can get lifetime access for just $49. Well, smile away. You can get lifetime access to this Autoklose plan for just $49! Automate your sales process now! Autoklose founder Shawn Finder has been in sales for more than 15 years. During this time, he’s seen a lot of tools and learned a lot of things, like, the most important aspect of sales is also the most labor-intensive. Case in point: Research shows that in order to convert a prospect, you need 8+ interactions. So he made sure Autoklose addressed this by letting you tailor outreach campaigns with unlimited follow-up sequences. With these unlimited follow-ups, you can give prospects educational materials, ask for actions, book calendar appointments, send taco recommendations, etc. and do all of this automatically! If you’re in sales and looking to increase productivity and performance (you better be), Autoklose is the answer. Let go of menial tasks that are stealing all of your time. 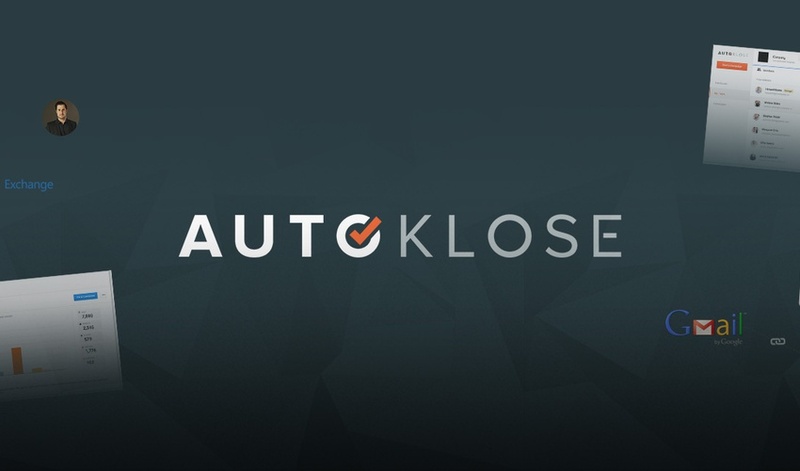 Get lifetime access to Autoklose for just $49. Save time and increase profits now! Need to add some team members? Buy up to 3 codes for up to 3 team members. P.S. 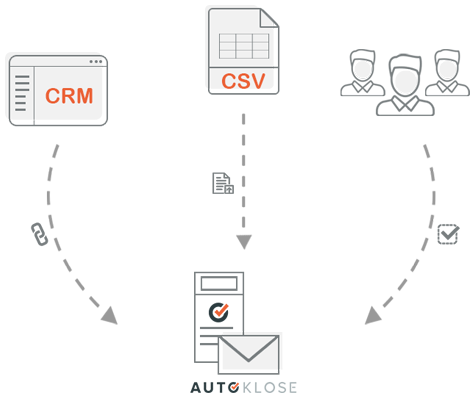 While Autoklose automates personal email follow-up, it is not a mass mailing solution or marketing solution. It also does not send pretty HTML emails with pamphlets and banners. Lifetime Access to Autoklose: This deal ends in less than 24 hrs!